Maybe it's because I love having an excuse to reorganize my home and set up a new planner. Or maybe it's simply because I love having the opportunity to dream big and set new goals for the year. I'll admit…some of our goals for 2015 were big ones. We wanted to save money for two important projects on our home, I wanted to grow my business, we wanted to travel more as a family, I wanted to volunteer more in the kids' school (just to name a few) and all the while, I tried to focus on my Word of the Year, which was "No." I know that may seem like an odd word to choose, but it was because I found myself saying "Yes" to too many little things and I was losing sight of the bigger things that were more important. But before 2015 is over…we need to plan!! 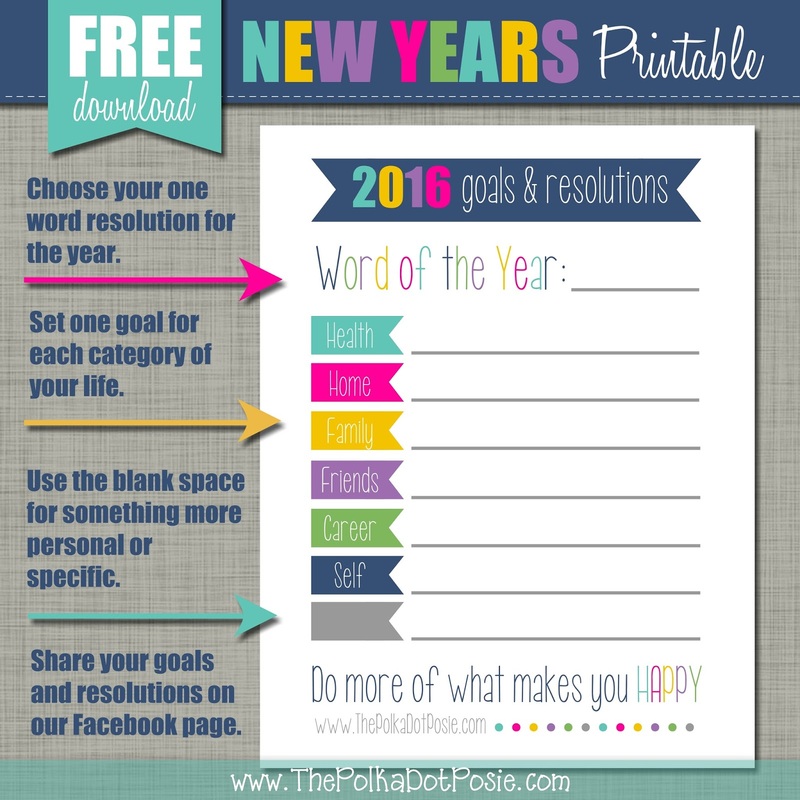 To help us out, I have a NEW free printable for your 2016 Goals & Resolutions. The purpose of writing out goals & resolutions isn't to make your life more stressful, but rather to encourage you to do more of what makes you happy!! Have fun with this list and use it as a guide for the next year. We may have some repeats on our list (I'm looking at you Health & Fitness. Ha!) but what's important is that we try. It's never too late to set a new goal…or achieve an old one. Happy New Year, friends!!! Thank you for being a part of our lives and our dream. See you in 2016! how to download your free printable? every time I click the size I want it says, "see previous file next file".